LoraSaysSo! : Parents: How Calling Your Kids "Smart" May Actually Hurt Them! Parents: How Calling Your Kids "Smart" May Actually Hurt Them! It feels good as a parent when someone praises your child and tells you, "What a smart child you have!" doesn't it? What if I told you this kind of praise could actually have a negative effect on your child? As an educator, I have been studying the work of Dr. Carol Dweck, a Stanford psychology professor who wrote the book Mindset: The New Psychology of Success, published in 2006. Her work has been “going viral” so to speak, in the education community. Why would this be interesting to you as a parent? Because Dr. Dweck’s decades of research has shown that how we praise children can affect how they view themselves. That how we respond to children plays a key role in motivation, achievement and can help foster the type of mindset they develop. In fact, her research suggests that an emphasis on intellect or talent can actually lead to a child’s fear of failure, feedback and challenges. In other words, some children may fear failing so much that they choose the easy way out, may not take an interest in personal growth and refuse to take on challenges, skills that may not lead to a productive adulthood. While her work centers around teachers and the classroom, as parents you are your child's primary teachers. 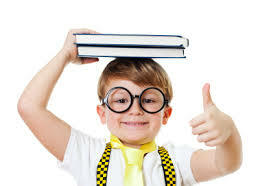 After becoming more familiar with Dr. Dweck's research, I now think twice about calling a child "smart”. 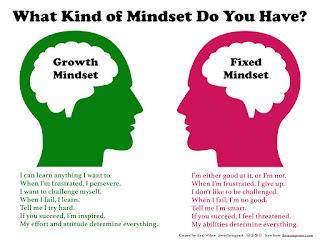 Dr. Dweck’s work describes two types of mindsets, a fixed mindset and a growth mindset. Praising a child’s intelligence, i.e. “You are so smart!” fosters a fixed mindset. It suggests that one’s intellectual ability is inherent, that one only has a certain amount of intelligence and cannot change it. In a fixed mindset, mistakes are viewed as failures and that children may believe they are dumb and just do not have the talent to master a particular task. As a result, children may only seek activities that they are good at to reinforce and prove their intelligence, and avoid being challenged. The importance of learning or trying something new may become secondary. On the opposite end is a growth mindset, the belief that intelligence can develop through education and effort. When we praise for effort, children believe they can get better at anything as long as they are persistent and dedicated. Dr. Dweck’s research shows that children with a growth mindset were more likely to persevere through setbacks, work harder, seek effective learning strategies and outperform those with a fixed mindset. 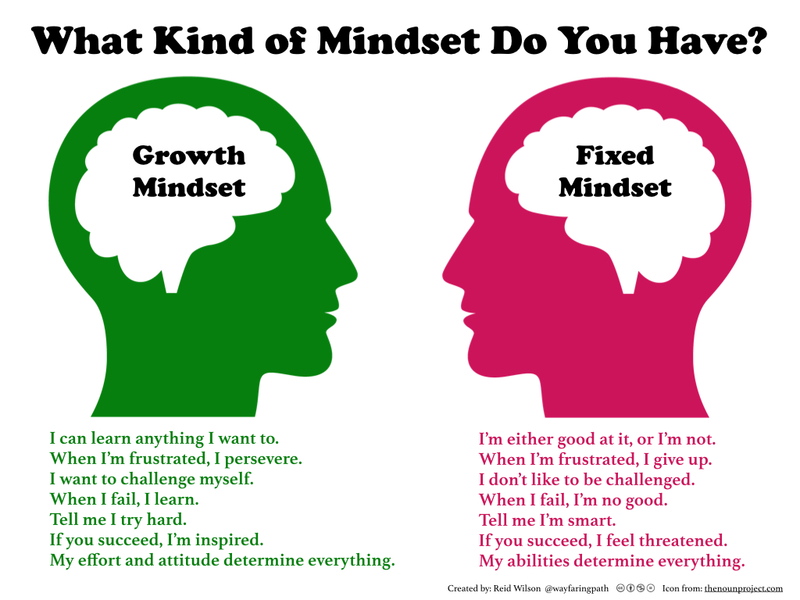 What kind of mindset do you have? Take this online quiz. “What mistake did you make that taught you something?" Not only does the adult language have to change but also the child's. Look at the diagram below. When you hear your child say these things in the left column, get them to change their thinking to a growth mindset, the right column. Develop the belief that mistakes actually grow the brain and develop their intelligence. With parents, teachers, and the child on the same page, developing a Growth Mindset should be promising. To learn more about Growth Mindset Parenting, read this article. 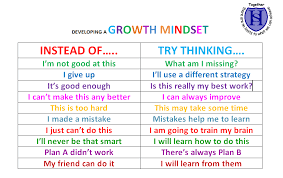 What do you think about developing a growth mindset in your child? Please leave me a comment below.